Small bedroom? 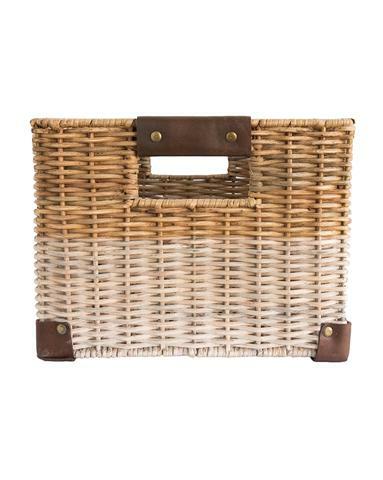 Don’t fret, your space still has plenty of potential to feel like the ultimate getaway! 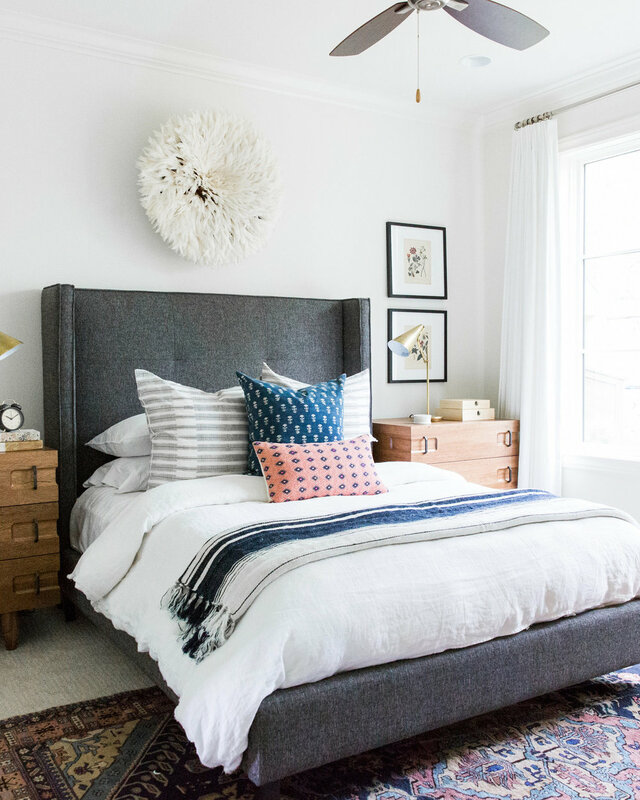 We’ve put together our tricks and tips we use every time we’re faced with the task of making a small bedroom feel grand. You don’t want to line the walls and overcrowd the space with furniture! Pick and choose your necessities and work with that. You don’t need as much as you think. In our Denver Tudor Project, our master was pretty small. We chose to keep with a king size bed, and then we had just enough room for a dresser. Both are necessities in the bedroom, and both create styling opportunity. We were able to decorate the top of the dresser, including framed art! In a really small bedroom, it’s really important to make sure you’re not over filling the room and making sure you’re giving yourself enough walk space- Especially around the bed. We hung up more art on an open wall, bringing moodiness to the space without disrupting the walkway. It’s important to make sure that door swings aren’t interfering with furniture. Sometimes you have to sacrifice a nightstand on one side if a closet door is swinging into it. Sometimes you need to sacrifice a nightstand because there’s just not enough wall space! 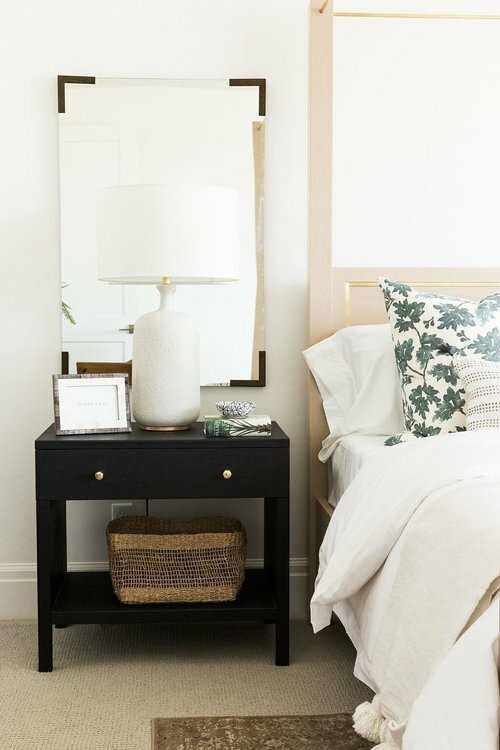 A small side table or stool makes a great nightstand. They don’t have to be grand pieces with multiple drawers. 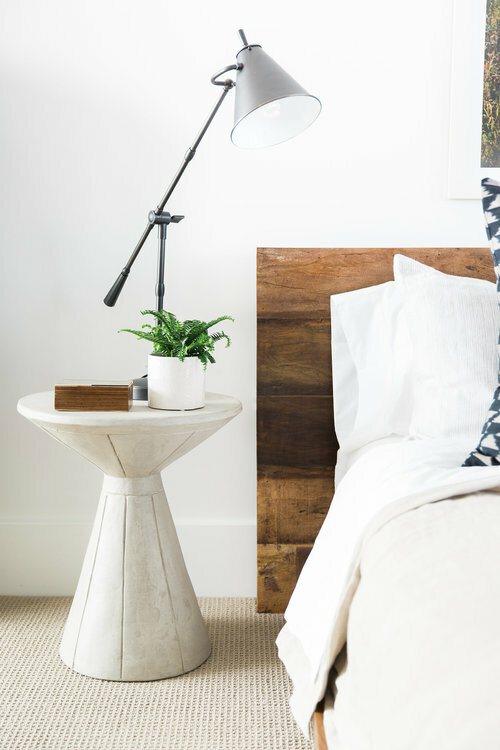 Make use of your space by using sconces in place of a table lamp. An open space created by ceilings can be made into offices, while window seats can be your new favorite place to cozy up with a good book. Reading nooks and offices are a great way to make a bedroom feel personal, even when you don’t have much room. 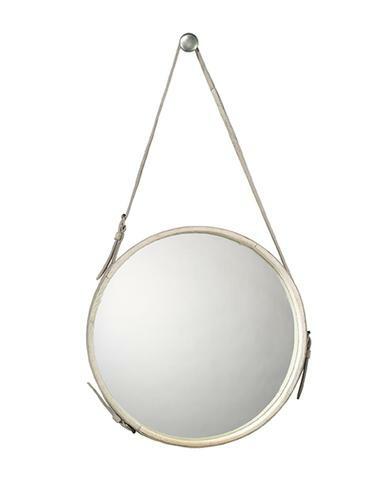 Whether they’re on the floor or hung above a dresser or console, a mirror does wonders for making the room feel bigger, open, and it’s pretty convenient to have in the space where you get dressed! Floor mirrors are a good way to fill the space, but not take up a lot of room. Mirrors hung on walls trick the eye into thinking the space larger than it appears. We’ve talked about doing wallpaper in a small space like a powder bathroom! 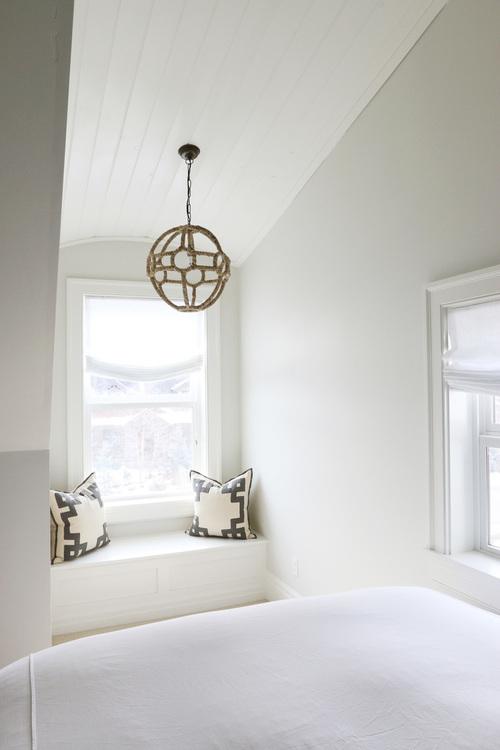 In a small bedroom, we love to use simple wall coverings or some sort or paneling to make it a little more special since it is small. Bonus, a vertical panel will make the walls feel taller! 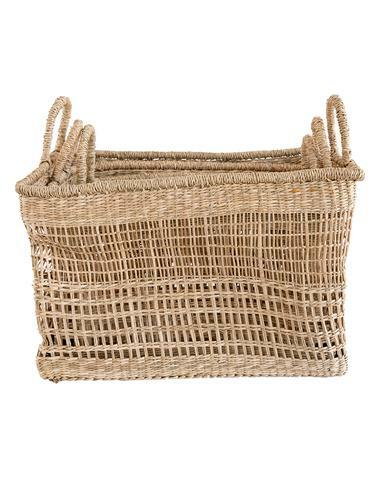 We always joke about being in the market for a good basket in our office, but that’s because we’re always in the market for a good basket! Throw them in your nightstands, next to your bed, or a closet! 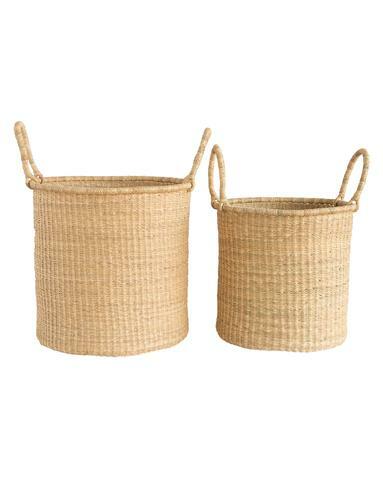 Easy storage and decor.